BARKA The Department of Applied Geosciences (AGEO) at GUtech, recently conducted a two weeks international excursion to Germany with a group of 18 students and their professor and an assistant. 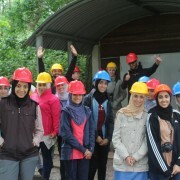 The study-trip was part of the curricula, with its main goal to learn more about the geology of Germany and the regional development of a region. “The students had to familiarize themselves with different aspects of applied geology such as the development of natural resources or the usage of ground- and sub-surface water as well as natural stones in the lower Rhine district. With a focus on the presentation of thermal springs, coal and base metal deposits as well as volcanic rocks, we gave the students an overview of topics that cannot be presented here in Oman,” said Prof. Dr. Wilfried Bauer, who organized and headed the excursion along with his assistant. The students visited different cities like Cologne, Bochum, Xanten, Krefeld and Aachen. 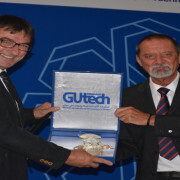 At GUtech’s partner-university, RWTH Aachen University, they had the opportunity to attend a lecture in the MSc programme in Applied Geosciences. A number of AGEO alumnis are currently studying in the MSc programme at RWTH Aachen University. 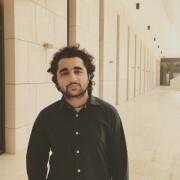 An Engineering student of the Department of Mechanical Engineering at GUtech has been selected for a scholarship to participate within a group of 30 students in an interdisciplinary international workshop “Engineering for Development (E4D) – Science & Technology for the South” at Delft University of Technology, known as TU Delft. The University is part of the prestigious European IDEA League of universities, that includes as well ETH Zürich (Switzerland) and RWTH Aachen University (Germany). The Summer School is sponsored by the Sawiris Foundation for Social Development. The topic of the Summer School revolves around the depleting resource sand and the question of how to develop alternative building materials for future cities in emerging countries. “Sand is a component of any product we use in our lives such as glass, concrete, computers, detergents and even toothpaste. During the workshop we will learn how to use sand for the future of our cities,” said Balaj Fazal, 4th year Engineering student at the Department of Mechanical Engineering at GUtech. He will be one of the few Bachelor students attending the workshop that is mainly designed for Master’s and PhD students. Balaj who has been participating with the Shell EcoMarathon team in 2015 in Manila, attended a summer workshop by Veolia last year in its headquarters in Paris. “Given all those possibilities for studying abroad, I am grateful to GUtech. Without the support of the university and especially my professors in Engineering and Mathematics it would have been impossible,” said Balaj, who is a holder of a scholarship of the German Academic Exchange Service (DAAD). He just completed his Bachelor thesis on ‘Modelling and control of the HIV virus”, a topic closely linked to biomedical engineering. After completion of the Summer School, Balaj hopes to apply for a Master’s programme in ‘Management and Technology’ at TU Delft. The E4D Summer School was created in 2014 for students from various scientific fields such as engineering, architecture and natural sciences. The two weeks workshop aims at developing an integrated vision to a global challenge of today’s construction industry through three workshops such as bio-cementation, crystallization and 3D printing, where the acquired knowledge will be tested and applied. According to the organizers, sustainability in the construction industry has been perceived as the optimisation of existing material and energy production. However, the fundamental energetic and material character of these base resources has not been questioned so far. Due to population growth and increased construction activities around the world, the speed of consumption of construction materials has been increasing constantly. “Sand can be used as an alternative to concrete. But not all sand is suitable for construction,” said Balaj while explaining that only sand with a rough shape and size, that is found in river beds, lakes and oceans can be used as a building material. During the workshop Balaj and the other students will conduct field excursions to neighbouring countries and have a variety of seminars on the geology of sand, building with sand, alternative materials, planning for the future and building with seawater. Professors and experts from around the world will share their knowledge and give insights in their field of research, including Aurel von Richthofen of ETH Zurich, who was Assistant Professor at the Department of Urban Planning and Architectural Design at GUtech. 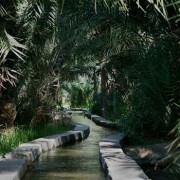 He will conduct a discussion entitled “Sand: an (in)finite resource?”. Through those discussions, the students will not only acquire theoretical knowledge about this resource sand but experiment with current and future technologies to sand and its alternatives. BARKA The GUtech Student Awards were distributed by the Rectorate of GUtech to a large number of students during a ceremony held at the GUtech amphitheatre on Thursday evening. Awards were distributed in various categories to Student Council Members, active Club Members such as a Theater Club (pictured), winners of international and local competitions, the best Student Volunteers and to participants of a First Aid Workshop held at GUtech recently. The sports awards were distributed for the fourth time to acknowledge the student’s team spirit, their high involvement and successful participation at national and international tournaments. 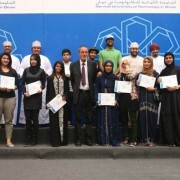 A total of 22 students were awarded by the GUtech sports office. “GUtech students were participating in University Championships in Chess, Table Tennis, Taekwondo, Futsal, Beach Soccer and private organized competitions such as Basketball and Badminton,” said Gunhild Pfaff, Manager of the Sports Office at GUtech. The following sports achievements were awarded: The Futsal female team won the Gold Medal at the 1st Futsal Championships for Higher Educational Institutes in October 2015. The Basketball female team won Silver Medal at the PDO organized Basketball tournament in December 2015. The Taekwondo female team won the Gold Medal at the Taekwondo Championships for Higher Educational Institutes in February 2016. The GUtech teams won one Gold, one Silver and two Bronze Medals during the Taekwondo Championships for Higher Educational Institutes in Oman held in this year. A gold medal was achieved during the Open Female Badminton Championships at Sultan Qaboos University in April 2016. Four female students were selected for the Oman University National team to compete at the first Arab University Futsal Championships in Amman in November 2015. “This Academic Year we extended our cooperation with local Sports Association,” said Gunhild Pfaff. HALBAN Under the auspices of Her Excellency Dr. Muna Bint Salim Al Jardani, Undersecretary of the Ministry of Manpower, 45 Omani students from Duqm were awarded with training certificates on Thursday afternoon at the campus of the German University of Technology in Oman (GUtech). The majority of the trainee graduates were females. 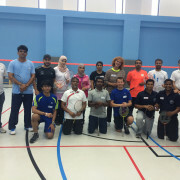 DTI is the first of its kind professional skills training programme conducted in Duqm in the past six months. Prof. Dr. Michael Modigell, Rector of GUtech, stressed that GUtech supports vocational training: “We do not only educate Engineers, Architects, Computer Scientists, Geoscientists and Business leaders, GUtech educates responsible citizens who are skilled for their professional lives,” said the Rector of GUtech in his speech. 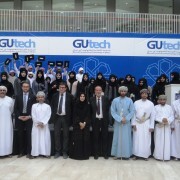 Due to the success of the programme, GUtech hopes to continue next year. The Duqm Training Initiative (DTI) was initiated and funded by the Special Economic Zone Authority Duqm (SEZAD), Duqm Refinery and Duqm Terminal with the support of Takatuf Oman. “Our aim was to increase the chances of employability of young Omanis from Duqm. It was a six month programme which focused on English, IT and Work Ethics but also covered topics like Social Responsibility, Sports as well as Health and Safety,” said Dr. Tobias Effey, Project Manager of DTI. “Special thanks go to the GUtech team who worked long hours in Duqm and who made this programme so successful as well as our colleagues from the administration and from the GUtech Foundation Year “GUbridge” who supported the programme. That was a real team work,” said Dr. Tobias. The university is currently negotiating with potential shareholders. “We would like to continue with another batch of students in September” said Dr. Tobias.